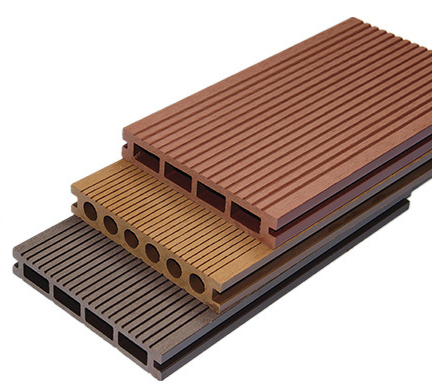 Innovative wood-plastic composite panels to effectively eliminate insect harassment and extend life. WPC EO-WOOD DECKING FLOOR is a green energy saving and environmental protection product which is extruded from the mixture of recycled wood fiber and plastic(HDPE).The product offers the natural wood grain,color,texture and possesses the advantages of exquisite appearance,easy-installation,simply maintenance, time saving and labor saving,high efficient. WPC products is widely used in villas terrace, outdoor swimming pool,restaurant and hotel,walkways,corridor,flower shelf,garden and so on. Good physical performance--Good strength,high hardness and no crack,water absorption,Insulation,heat insulation flame retardant. Widely used--Can be used for outdoor decoration lanscape engineering construction,municipal Construction,anticorrosion,engineering,sanitation,ect. Green material--Ecological environmental protection renewable wood,do not contain toxic substances,prevent slippery wear-resistiang anti-aging.